Resources > Industry Focus > Marketing Jobs > Is Public Relations For You? As one of the most popular sectors of media jobs, public relations (PR) is surprisingly misunderstood. It is not all about attending events and partying. It is not about socialising or being a people person. And it is definitely nothing like advertising. 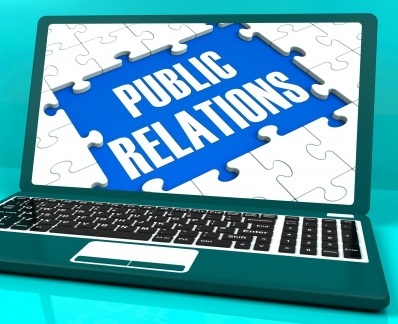 PR offers a varied and challenging career, which can be very rewarding for the right people. Are you right for PR, and is PR right for you? 1. You hate it when there are grammatical or spelling errors in a document. Yes, writing and editing are two important aspects of the job. Because you will have to garner publicity for your clients, you need to possess the skills to create compelling news stories revolving around your client’s product or service. 2. You like building good relations with people. After crafting your press release or media kit, you will need to send it out to the people who have the power to reach the masses: the journalists and bloggers. And if you have built solid relationships with them, they are more likely to help you out. 3. You are always up-to-date about the world around you. How else are you going to write a story that stands out? Keeping up with current affairs and pop culture will also help you when it comes to advising your clients and brainstorming for events and campaigns. 4. You are great at multi-tasking. In fact, you revel in it. Your daily work is a blend of everything. From reviewing media coverage to brainstorming for new ways to promote your client to coordinating with marketing departments, you will have to do it all. And when a PR crisis arises, you will have to drop everything and make fixing that your priority. 5. You don’t mind being chained to your smartphone. Because a crisis can happen at any point of time, you will need to check Facebook and Twitter every few minutes. And your smartphone allows you to do that on the go. You will find yourself bringing your smartphone everywhere you go, even to the toilet and to bed.